Let’s say you your mom or dad is in a nursing home. You’re paying privately but you’re about to run out of money. The nursing home says they accept Medicaid but don’t have any Medicaid beds available. You like the care the nursing home provides. He likes the nurses and the staff but you’re about to run out of money. Moving him to a new facility has a bunch of unknowns. How good is the staff. Will dad like the residents? Will the care be as good as it is now? You prefer to keep him where he is. How do you keep him there when the nursing home has no more Medicaid beds available? The solution is to request a Medicaid Spend Down Bed. Medicaid rules allow a nursing home at maximum capacity of Medicaid beds to request a temporary increase. This rule has been in place for decades but many nursing homes are not aware it exists. 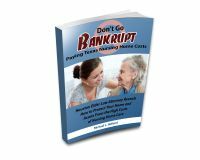 Licensed nursing facilities may apply to the Texas Department of Aging and Disability Services (DADS) for a temporary Medicaid bed when residents have “spent down” their resources to Medicaid asset limits but for whom no Medicaid bed is available. The nursing home simply requests a waiver that allows a resident to remain in the facility and receive Medicaid benefits. Because the patient spent sufficient funds to become asset eligible, the state refers to this option as the “Medicaid Spend Down Bed” rule. How does a facility get a spend-down bed? the resident lived in the nursing home for at least the immediate three months. Hospital stays are excluded. The facility requests certification of a currently non-certified bed. The facility must have a satisfactory compliance history. The number of Medicaid certified beds granted under this exception can be no more than 10% of the total number of certified beds in facility. If you find yourself with a family member in a nursing home that has no Medicaid beds available, ask your facility to complete “Temporary Medicaid Spend-Down Bed Request Form”. Instructions for submitting the request are on the form. If the nursing home needs more information about spend-down Medicaid beds, they can call us at 713-970-1300 . Or they can download the DADS request form. If you have any questions about Medicaid planning or applying for Medicaid, we’re happy to help. Just give us a call.